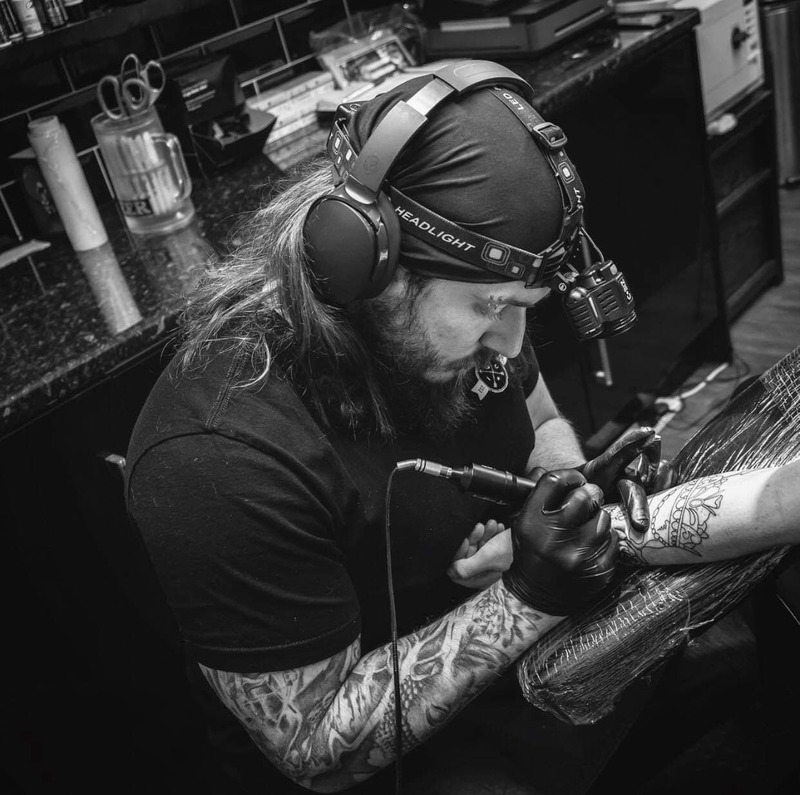 Welcome to Mindseye Tattoo Design – Custom Tattoo and Body Piercing Specialists. 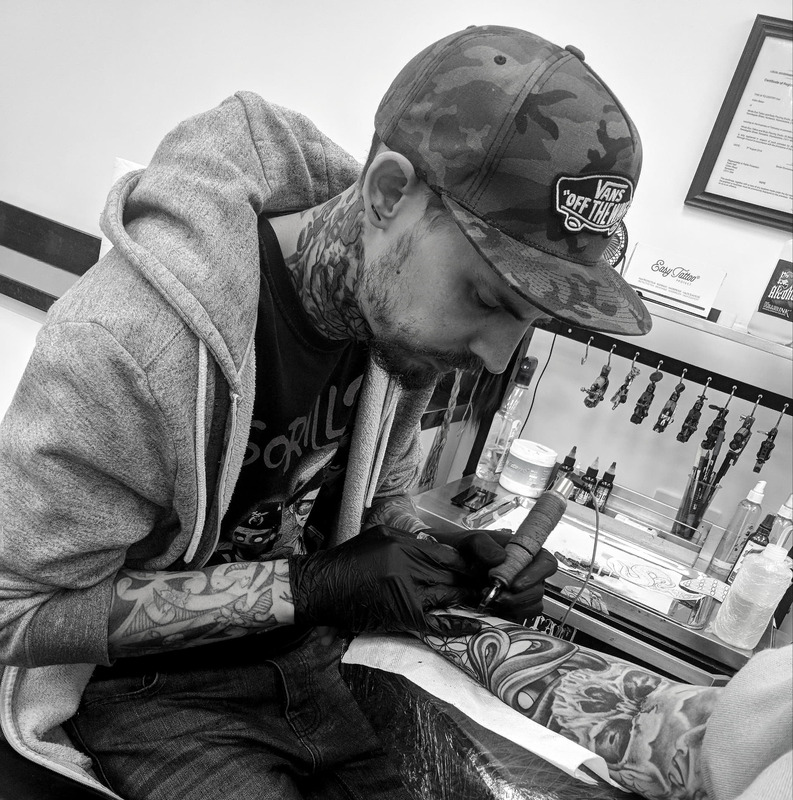 Here at Mindseye we pride ourselves on custom one off tattoos designed for you by our tattoo artists, we specialise in all tattooing styles, cover up work, re-working of older tattoos and laser removal. 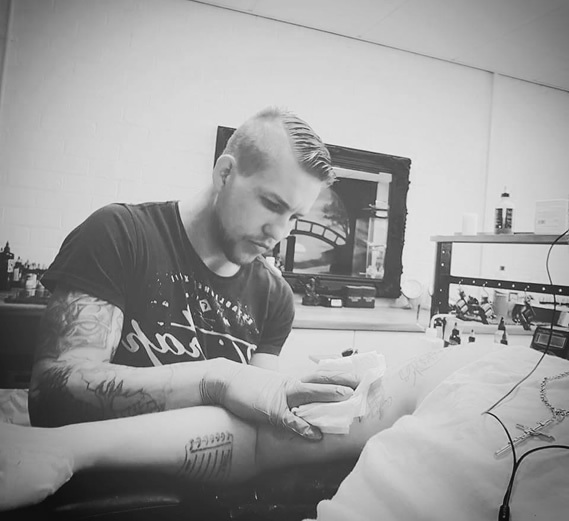 We as artists would like to create the best possible tattoo for you by discovering what’s in your minds eye and turning that info into a tattoo that you will be proud of. We also offer high quality cover-ups. 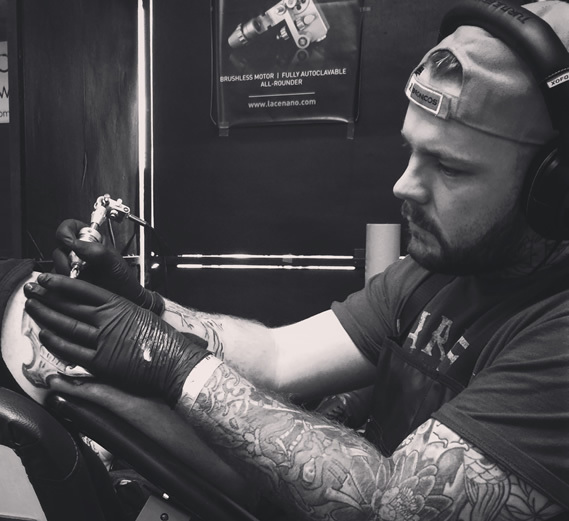 To find out more about our custom tattoo designs, please visit the About Us section or drop us a message using the Contact Us page. Excellent friendly shop. Had Callum do my tattoo and he did exactly as i wanted! Excellent work. Love it! Went in here on Tuesday to get my first ever tattoo and I walked out with exactly what I wanted. Laura did my tattoo and she was brilliant, she gave me exactly what I asked for and gave me lots of helpful advice on how to care for my tat. 100% would recommend this place, the tattoo artists are friendly, super talented and the atmosphere is so chilled. Will definitely be coming back to get some more ink! Great place. The staff are great VERY welcoming. Felt very relaxed. Will be going back again and again. Had 2 tattoo's in a week. Both completely different. Both by 2 of the tattoo artists. They are spot on. Knew what I wanted and produced it perfectly. If u want a tattoo, these are the guys. Ho yea and girl. ?? Laura created a beautiful watercolour dragon for me I am so pleased with it, thank you so much Laura it is a stunning piece of Art. A really comfy place with a relaxing atmosphere, I was there for 2 and a half hours and the time flew. I would highly recommend visiting here for your next tattoo. The quality is above and beyond the prices that you pay. Been there twice for my tattooing, wouldn't recommend anywhere else, this place is by far the best. Great value for money, the artists are funny and friendly, brilliant atmosphere. I highly recommend this place. Trust me, this is the place to go & you won't regret it. Having laser removal and already after two sessions my tattoo has faded so much. Very very happy!! Can't recommend this place enough! Great banter and great atmosphere. Laura did mine and my daughters today and stayed way past closing to finish, absolutely love them. Just what we wanted. Mine is absolutely stunning and will be back for more soon! Had several tattoos done here and would never debate changing places. Great artists and a great environment! Really friendly staff and aidens work was Awesome ..had an old Tattoo covered up and the start to my WH40k Sleeve started..
Lovely clean studio. All the artists are friendly, professional and approachable. Laura Hyde has amazing talent! Brilliant - Aiden is sorting a sleeve for me at the moment, can't fault him, some brilliant ideas and his work is amazing. I had Laura do my first tattoo and I've got to say I love it!! I originally had a design and wasn't 100% sure about how to have it but she transformed it and now I am completely in love!! Highly recommend!! They also know what they are talking about and couldn't help enough!! Thanks to Callum for a FANTASTIC cover up today. EVERYBODY that I've shown the tattoo, are totally in awe of your work. I can't recommend this place highly enough. Callum and the rest of the 'Artists' put you totally at ease with great advice and great banter. If your thinking of getting a tattoo, make this your 1st 'Port of Call'. So far I've had 10 hours work with Stuart and a smaller piece with Callum, all to the highest of standards and I couldn't be any happier than I am. The whole team are truly amazing, they make you feel welcome from the first moment you step in and fill you with inspiration and confidence as you talk through your design. I very highly recommend these guys, no matter which artist you go with you will be a very satisfied customer. Go and get booked in!!! Had a fantastic time there yesterday, bucket list ticked! Thank you Callum. ? Massive thanks to Laura, she done an amazing job with the tattoo's me and my daughter had we gave her an idea of what we wanted and she made it unique, I love it I'm going to go back for another one really soon. Really friendly people with amazing skills! The detail Laura put into my partners tattoo was incredible! I've booked myself in for one!! Quality ... just started a cover up and sleeve. Stuart's imagination and attention to detail is immense. Highly recommend anyone to come here. Can't wait for the next session! Went to mindseye for the first time yesterday. I have a back piece already ,but wanted to expand on it. I can say they are very helpful and will say what works and what doesnt work. I did take the advice given, and so far I am extremely happy with the result. It's looking amazing. And I've had lots of compliments on fb. Booked in next month to have some more done if not completed. ��� Thanks guys Much appreciated for fitting us in.